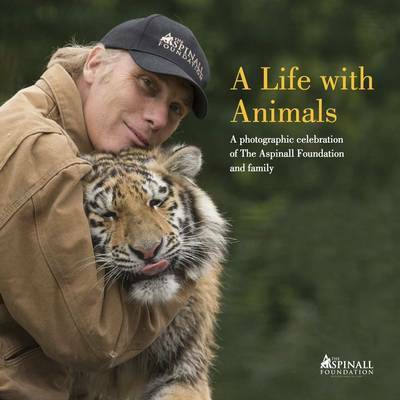 I recently had the pleasure of working on a book project for The Aspinall Foundation. “A Life with Animals,” published in October 2014 (which also happens to be my birthday month! ), was commissioned to commemorate the 30th anniversary of the wildlife charity. It tells the story in pictures of the 30-year old love affair between the eccentric but dedicated Aspinall family and the many animals and wildlife species they have reared, rescued and released back into the wild over the years. It’s something I feel very proud and privileged to have worked on – not only was it thoroughly enjoyable to research and write about, but I feel very passionately about what the organisation is trying to achieve and hope that in some small way, I have helped to make a difference. As well as writing the copy for each chapter, I also helped to select and shape the pictorial content, with plenty of guidance and feedback from Damian Aspinall and key members of the organisation, including photographer, Dave Rolfe and Amos Courage, Head of TAF’s Overseas Projects. I know he gets a lot of bad press, but in person I must say I found Damian to be a charming and funny individual who is genuinely passionate about wildlife conservation and concerned for the welfare of animals in captivity everywhere. You can read the latest interview with him in the Telegraph about his views on zoo’s and their role in conservation – the article also contains selected images from the book. Many of these are from the Aspinall family’s private photo album, some of which have never been published before, so I highly recommend you buy a copy and have a leaf through – there are some truly magical moments captured in amongst its pages. All proceeds from book sales go towards funding the incredible work of the organisation, so do consider it as a Christmas, birthday, thank you or anniversary present – it’s one of those gifts that keeps on giving. Copies are available to order at Waterstones and Amazon. However, the most straightforward way of purchasing your copy is by visiting the TAF Shop.